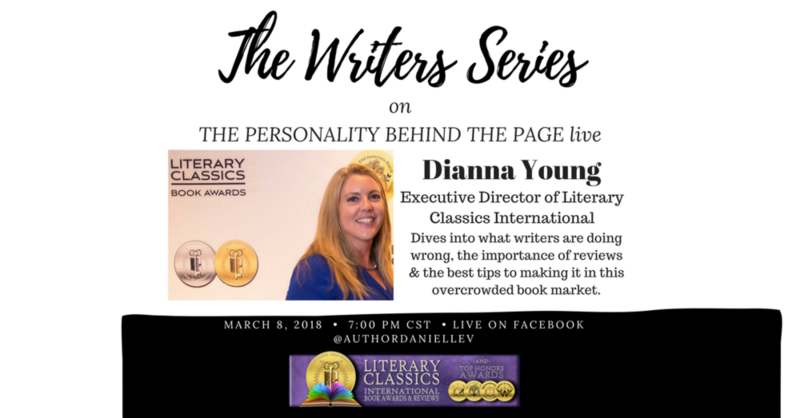 Join Author Danielle A. Vann & Executive Director of Literary Classics, Dianna Young. Together they will talk LIVE about writing, awards, reviews, and what common mistakes writers are making each and every day. This is a LIVE you do not want to miss!